Fast install and instant set up. No coding – all changes are made in the Divi Builder. Call to action button can link to anywhere you like. 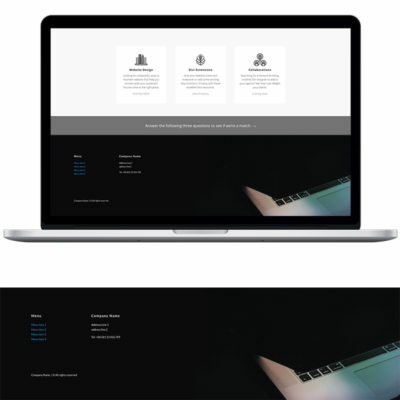 Divi is a premium theme for WordPress from Elegant Themes (although calling it just a theme is doing it an injustice – it’s more like an entirely new way to create websites). 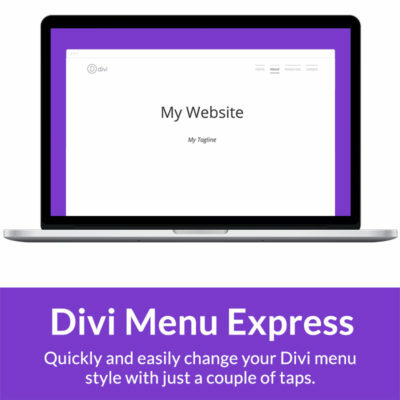 Divi allows you to quickly and easily make changes to your WordPress website. Divi also has an entire community of developers who love the platform and create a variety of add-ons. If I don’t have a Divi website, how do I get started? Getting started with Divi couldn’t be simpler. Your first step should be to buy your website address (called a domain name) and a place for your website to live (called hosting). There are many places online where you can buy these and you are free to choose, however I recommend that wherever you buy them from that you get a service made specifically for WordPress. Often called ‘Managed WordPress Hosting’ this type of hosting is optimised for your site to run fast and usually includes some important security features. Once you have your domain and hosting your next step is to purchase Divi and install it by following along with the step-by-step guide. As it is a premium WordPress theme Divi is not free, however their are two packages to choose from and offer great value for money. The first package is $89 a year and is ideal for trying it out if you’re not certain you want to commit. The second package is a one time fee of $249 and offers the best value – you pay once and you have it for life. What are Divi Child Themes? There are a few different ways to simplify what child themes are, here’s one example: imagine that WordPress is a table, it’s fine and does what you need it to (provides a platform for you to work on) but not everyone likes to have the same table. A theme is like a table cloth, you can shop around and choose the right table cloth to fit your own personal style and make it your own. Divi is a great theme (0r table cloth in this example) but we can go further because not everyone likes to have the same table cloth either… So what else could we do to make our table/website more unique to us and our style? We customise it some more! A child theme customises the main theme often substantially to make it look very different, this will mean that even though you and I may use Divi for our websites they will look totally different. Just like our tables, they may do the same thing but they are unique to us. Divi plugins allow you to add additional features or functions to your Divi website. Plugins can be found all over the internet and can help you enhance or upgrade your Divi website. Want to add some cool effects to your Divi menu? How about change the style of your Divi blog articles? Or what about adding some more social media icons to your website? A Divi plugin could help you do these things quickly and with just a few clicks. Divi page and module layouts are downloadable assets that you can use to enhance your website. Developers in the Divi community often share parts of projects that they think that others will find useful. These layouts will often look very professional and will stretch the capabilities of Divi, creating unique and interesting looks. Installing them on your own site can vary so be sure to check out the instructions provided with the layout. 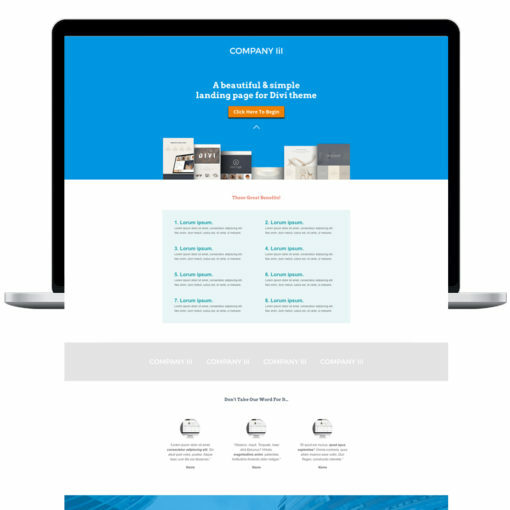 All Divi products require a licensed, functioning version of the Divi theme from Elegant Themes. Recommended version 3.0 or above. 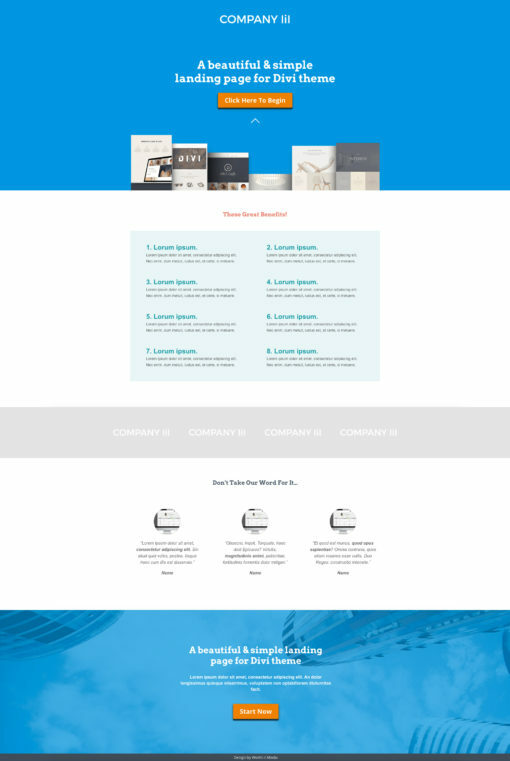 Buy or enquire about the Divi theme.